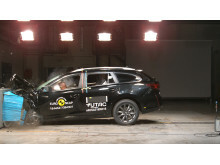 Results from the latest batch of vehicles to be tested by Euro NCAP and its partners have been announced today. 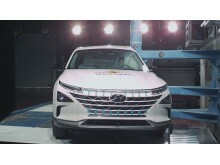 Cars from Hyundai, Lexus, Mazda and Mercedes-Benz all achieved five-star Euro NCAP ratings for safety, with Peugeot / Citroën / Vauxhall's five-door MPV taking home a four-star rating. 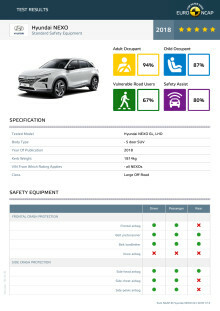 In addition, both the Hyundai NEXO and Mercedes A-Class are available off the forecourt with Autonomous Emergency Braking (AEB) systems which can detect pedestrians and cyclists. 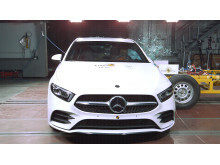 “The AEB systems in both vehicles responded well to Euro NCAP’s new, more rigorous testing. 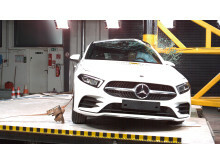 Its pleasing to see that carmakers across all categories are stepping up and working with Euro NCAP to do more to protect our most vulnerable road users,” said Avery. 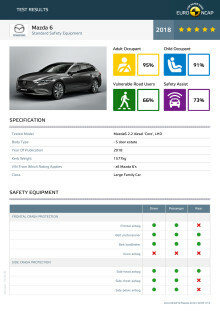 In the large family car segment, the Mazda 6 and Lexus ES scored five-star Euro NCAP safety ratings. 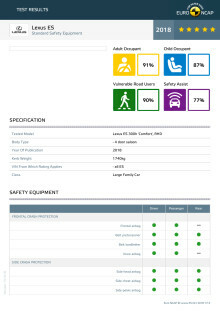 The Mazda 6 achieved one of the highest percentages seen this year for Adult Occupant Protection (95%), beaten only by the 2018’s top performer for safety, the Volvo XC40 (97%). 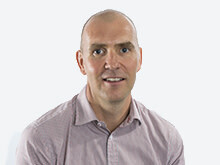 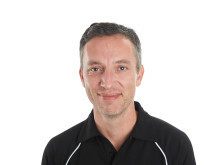 “Mazda deliver on safety consistently,” said Avery. 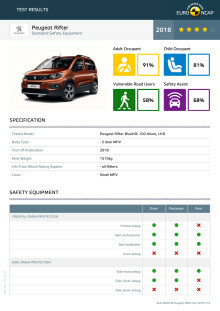 The Peugeot Rifter, Citroën Berlingo and Vauxhall Combo ‘triplets’ – three identical vehicles whose ratings were based on tests of the Peugeot Rifter – were awarded four-stars. 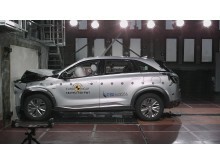 “The Peugeot Rifter and its twins offer very good levels of protection to the driver in an impact, but the focus on Vulnerable Road User protection was not keen enough to merit a full five-star Euro NCAP rating,” said Avery. 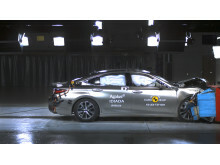 As such, the Euro NCAP report highlighted overall marginal performance for the car’s AEB systems – which did not respond well to faster-moving road users like cyclists. 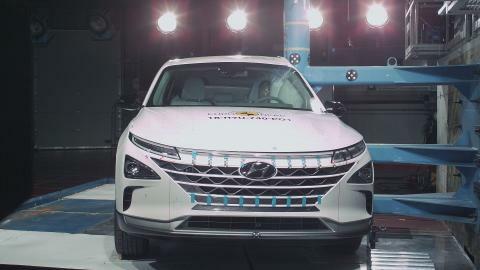 Of the cars tested by Euro NCAP the Mercedes A-Class and Hyundai NEXO have ‘Highway Assist’ options. 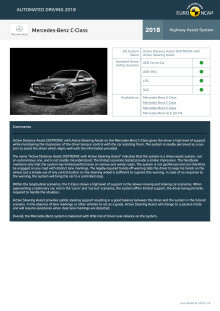 Highway Assist technologies combine Adaptive Cruise Control, Lane Centring and Speed Assist Systems to support drivers in driving situations on motorways. 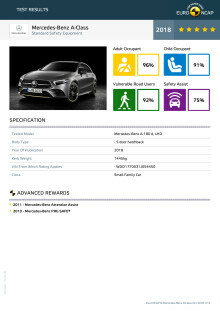 These systems were assessed for the first time by Euro NCAP recently, to help consumers better understand the limits of the systems and to not over-rely on them. 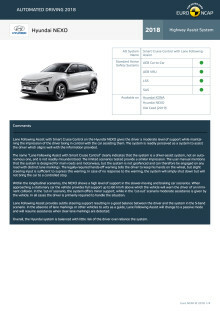 For more detail, see Euro NCAP’s Automated Driving assessments of the Hyundai NEXO and Mercedes A-Class – which has the same Highway Assist system as the Mercedes C-Class.